The internet resources especially devices use Internet Protocol (IP) addresses which are unique for communication purposes. There are two major IP addressing schemes; Internet Protocol version 4 (IPv4) and Internet Protocol version 6 (IPv4). Most devices on the internet have been using the IPv4 for a long time. And since the internet grows exponentially according to the number of users, IPv4 addresses are nearly maxed out. It is this problem that led to the development of another upgraded version, the IPv6. In terms of capacity, IPv4 is 32-bit long which translates to about 4.3billion IP addresses. On the other hand, IPv6 is 128-bit long, and this is about 3.4×10^38 IP addresses, more than a trillion. With this capacity, it’s logical to replace the IPv4 scheme with the IPv6. Most VPN service providers do not fully support the IPv6 addressing scheme, but they are compatible with IPv4. When tunneling occurs, data traffic using IPv4 will rarely leak as compared to IPv6. Due to incompatibility issues, data traffic using IPv6 will bypass the VPN tunnel and will be serviced directly by the ISP. This, in turn, will make you public to prying eyes including your ISP hence a leak. Most current internet-based hardware such as firewalls don’t fully support IPv6 while some servers support the addressing. This incompatibility has given rise to vulnerabilities which some malware has exploited. For instance, the most recent widespread malware that used command and control servers were IPv6 based. This gave them the advantage to bypass most firewalls that were only blocking IPv4 internet traffic. IPv6 is different from IPv4, and most people know how to configure IPv4 than IPv6. A transition from IPv4 to IPv6 can cause mistakes and confusions which can make it hard to troubleshoot network entities. Since also IPv6 hasn’t been adopted much, tunneling IPv6 over IPv4 has also led to security gaps not only in VPNs but also in other networks in general. This is a simple way to know as it involves typing this URL http://ip6.nl/ in your browser. The page will finish loading with both IPv4 and IPv6 results. If it says no IPv6 connectivity, you are safe. Step 1. Right click on the Network icon on the taskbar and then click on Open Network and Sharing Center. Step 3. Right click on the active network adapter, it can be WIFI or Ethernet depending on your connection, and select Properties. Step 4. After a properties window has opened, scroll till you find Internet Protocol Version 6 (TCP/IPv6). Untick the checkbox next to it and click OK to save the changes. Step 5. Now restart your computer and enjoy using your VPN without IPv6 leaks. 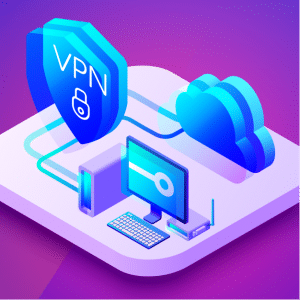 PreviousTor vs. VPN: Which One is the Better Privacy and Anonymity Resource?